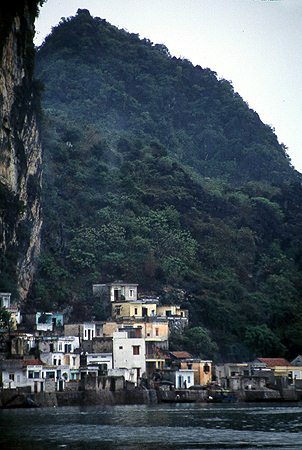 Village clinging to the limestone cliffs on the shores of the Gulf of Tonkin. 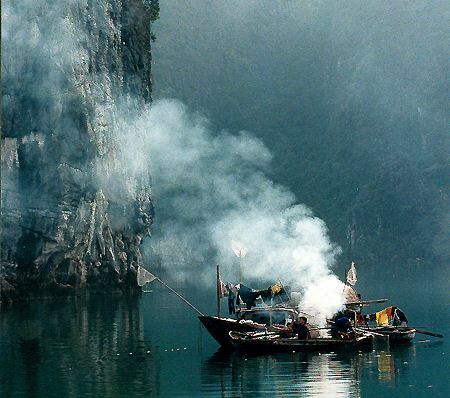 Family life on Halong Bay. These tiny craft house whole families. 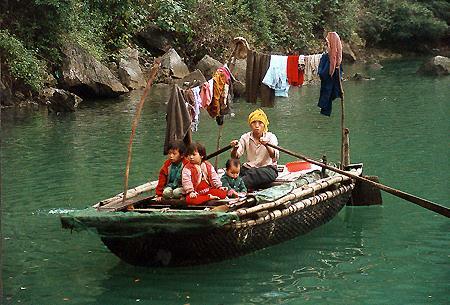 On the bow is a tarpaulin on a bamboo frame to provide shelter from the rain. 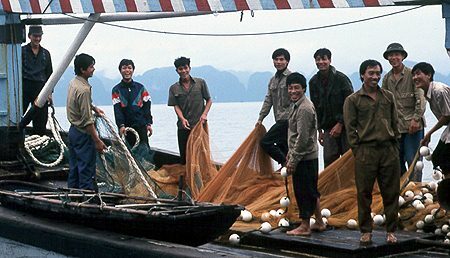 Ships that pass, we share a joke with this group of fishermen.